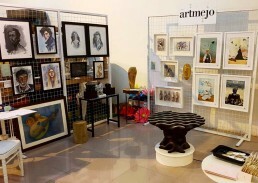 With an overarching aim to promote local artists and exhibit their work at different venues and events, artmejo showcased 10 different artists at ASF’s Spring Fever pop-up shop that took place from 12 to 15 April, 2017 at Zara Centre Wadi Saqra. 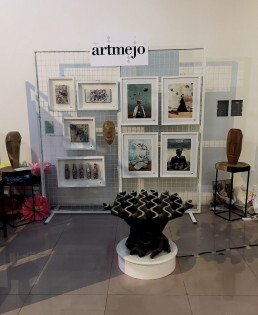 The exhibition featured a exquisite variety of works on paper as well as sculptures and received high praise and great feedback from the audience at the event. 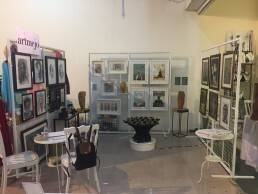 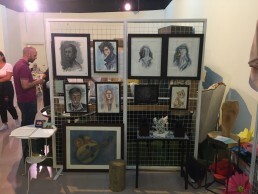 Artists exhibited were Adey Ibrahim, Hashem Joucka, Nadine Amireh, Lamia Fakhoury, Najwa Fakhoury, Yasmin Sharawi, Lubna Al Mousa, Samer ‘Riddikuluz’ Akroush, Mohammad Awwad and Shereen Audi.